Take a pan add butter, let it melt then add garlic ginger paste into it. take a cup add cornflour and 2-3 tbsp of milk , mix them so that it should form lumps. Add cornflour mixture and milk together into the pan along with it add cheese, keep stirring it well. 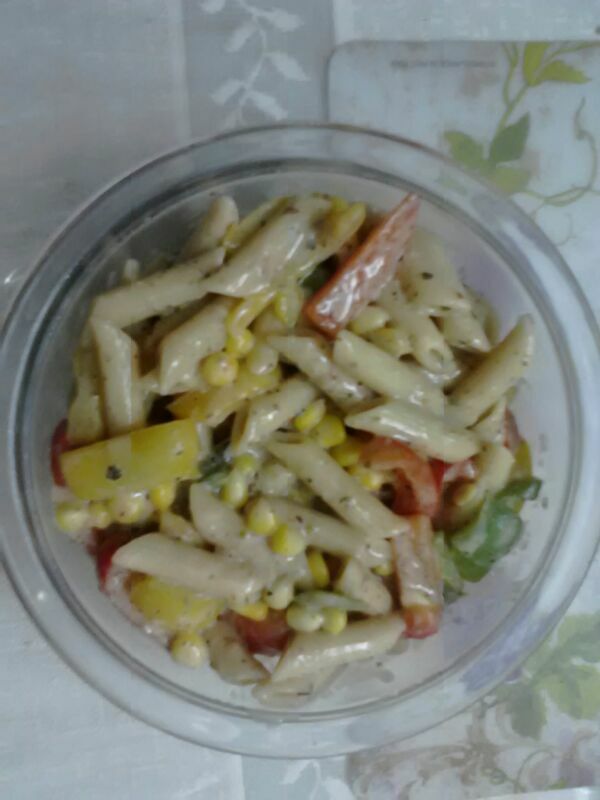 Add oregano, salt and pepper as per taste, on adding these spices you will start getting the aroma of your white pasta sauce (to make it pink sauce , add fun and foods sauce in it) . Finally add boiled vegetables and pasta into it. Make sure the quantity of sauce should not be less, add the vegetables and pasta accordingly. I hope you ll enjoy your homemade pasta. Cook soon and make everyone surprise by your skills.